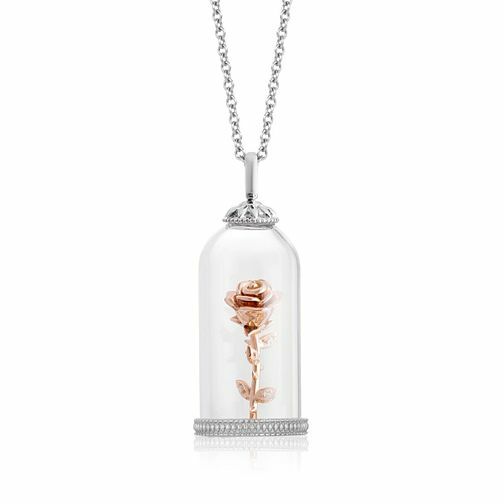 Inspired by Belle, this beautiful pendant is crafted in silver, with a 9ct rose gold rose charm adorned with diamond decorated leaves. The enchanted symbolism from Beauty and The Beast is intricately detailed, and placed upon a fine chain. An elegant accessory as part of the Enchanted Disney Fine Jewelry collection. The total diamond weight of this pendant is 0.02ct.